Sean Jenvay, a fourth-year medical student, is a member of the Phases Committee, a curriculum review committee. 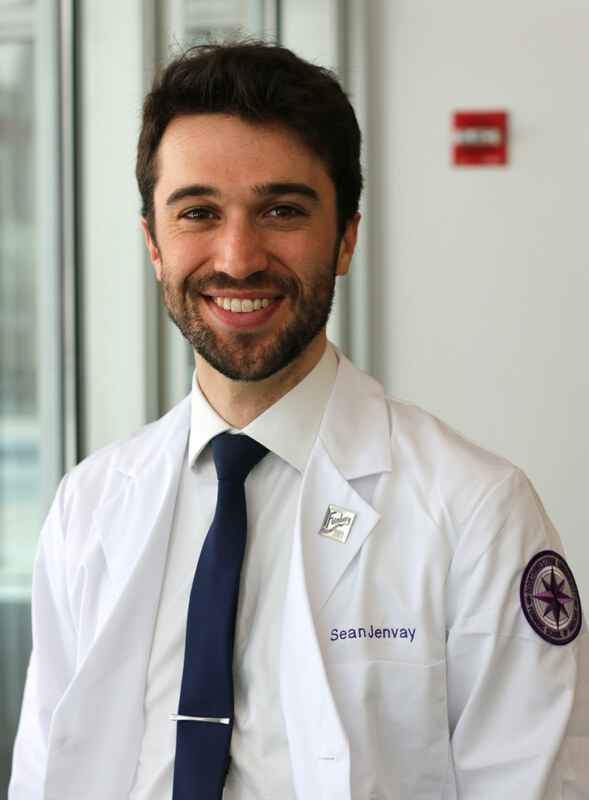 Even as a busy medical student, Sean Jenvay takes time to play an active role in helping to shape Feinberg’s curriculum and community. During his time at Feinberg, Jenvay, a fourth-year student, has worked with leaders in the Augusta Webster, MD, Office of Medical Education (AWOME) to help develop the medical school curriculum, as well as dedicated time to a range of activities focused on the education of younger students. This year, Jenvay helped Feinberg become the first academic medical center to launch a Sustained Dialogue program. 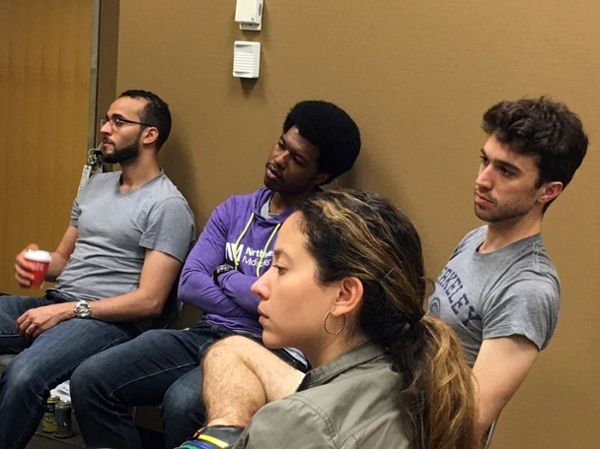 During the experience — for which Jenvay also served as a moderator — students met in small groups to discuss difficult topics, learning how to listen deeply, even during disagreements. Beyond his work in wellness and curriculum at Feinberg, Jenvay was also involved in the Alzheimer’s Buddy Program, and is currently completing his Area of Scholarly Concentration (AOSC) research project, investigating advanced MRI techniques for patients with brain tumors, under the mentorship of Todd Parrish, PhD, professor of Radiology. Before entering medical school, Jenvay spent two years working as an EMT and teaching MCAT preparation courses, where his interest in education was first piqued. How are you engaged in the curriculum at Feinberg? I’ve been involved in curriculum planning in a few different ways. One of my larger commitments has been being a member of the Phases Committee, a curriculum review committee where students meet with leaders to discuss, from a long view, what we want the curriculum to do and how we can improve it. It’s been a really rewarding experience. One of the biggest things we did as students was advocate to make our curriculum as efficient as possible; for example, making sure that different lectures didn’t cover the same material and that they were shaped and trimmed to be more efficient. Beyond that, there was also a lot of discussion about what we think as students is most relevant and when we think it’s relevant for us to be exposed to it. I think it’s great that we were offered the opportunity to share the student perspective with the administration, and it’s something I really value about Feinberg. What is your favorite aspect of the curriculum? The Education-Centered Medical Home (ECMH) program is a big reason I chose Feinberg, and it’s been something that I’ve really enjoyed during my time here — both as a junior student when I was just learning the ropes, and now as a more senior student where I get to do a lot of the teaching. ECMH allows me to understand medicine in a way that a lot of other curriculum styles don’t. With ECMH, we develop long-term patient relationships from the beginning; I still see the same patients I saw during my first week of medical school, and they view me as a true part of their medical team, which is a great honor. ECMH is also truly a home — not only in the sense that it’s a place where patients can feel comfortable and know the people taking care of them, but that it’s also that kind of place for us; as students, we form bonds while working together and get to have our own sense of family as well. My preceptor [Christopher Konstantelos, ’00 MD, ’03 GME, clinical instructor of Medicine in the Division of General Internal Medicine and Geriatrics] is also really emblematic of the type of clinician that we have at Feinberg, who is both an incredible physician and also just a great human being. What else do you enjoy about Feinberg’s curriculum? Feinberg has paid a lot of attention to reshaping the curriculum to be integrated. We use phases, so rather than learning how the organ systems work in health and in illness separately, we get both at the same time — the normal physiology and the pathophysiology. We also learn the social and public health implications, and about cutting-edge research in the field. We’re learning about how these disease processes relate to actual real-life clinical practice, which is really wonderful. Jenvay, right, was a moderator in the Sustained Dialogue program this year. Another unique aspect about Feinberg is SAM, which stands for Synthesis and Application Module. Essentially, it’s a weeklong activity where we’re able to take different elements of the curriculum that we’ve learned over the past several months and bring them together in a week of collaborative sessions. It often involves a lot of team-based work, where we have to draw knowledge from many different parts of our training at once. It’s really great that the curriculum has these built-in touch points where you realize what this is all about. We also have a wonderful Clinical Education Center, where we work with standardized patients (professional actors who play the role of a patient) and receive constructive criticism, all while in a safe space. This experience, along with ECMH, begins right off the bat in medical school. It really makes you a strong clinician when you hit the wards. Although I haven’t decided on a specialty yet, I’m particularly interested in internal medicine and psychiatry. I completed my psychiatry rotation in January, and it really struck a chord. Psychiatry really prizes the classic, face-to-face conversation with the patient, which I’ve found to be one of the most rewarding things about being in medicine. I also find psychiatry really intellectually stimulating. I also have a big interest in primary care, which has been supported by the ECMH program. While we get to do such amazing things in the hospital here, I think there’s still so much work to be done with people who are not acutely sick — especially given the rising prevalence of chronic health conditions. I’m also interested in academic medicine, as I’m really passionate about continuing thelifecycle of education.The idea of being able to work with trainees is something that’s compelling to me, and is definitely on my radar for the future. The leaders in AWOME are very inspiring, and I’d love to be able to play that role for future students as well.